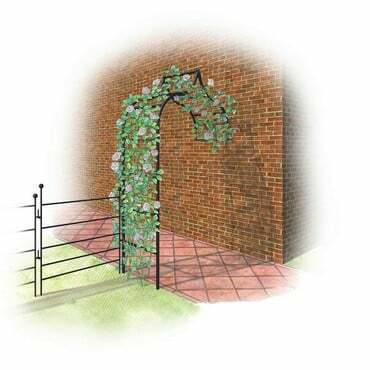 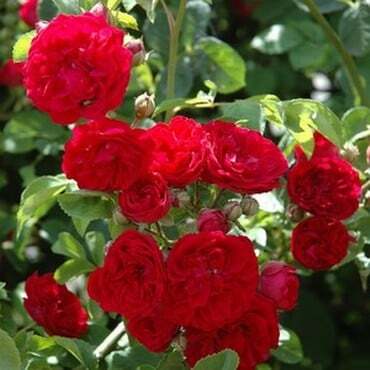 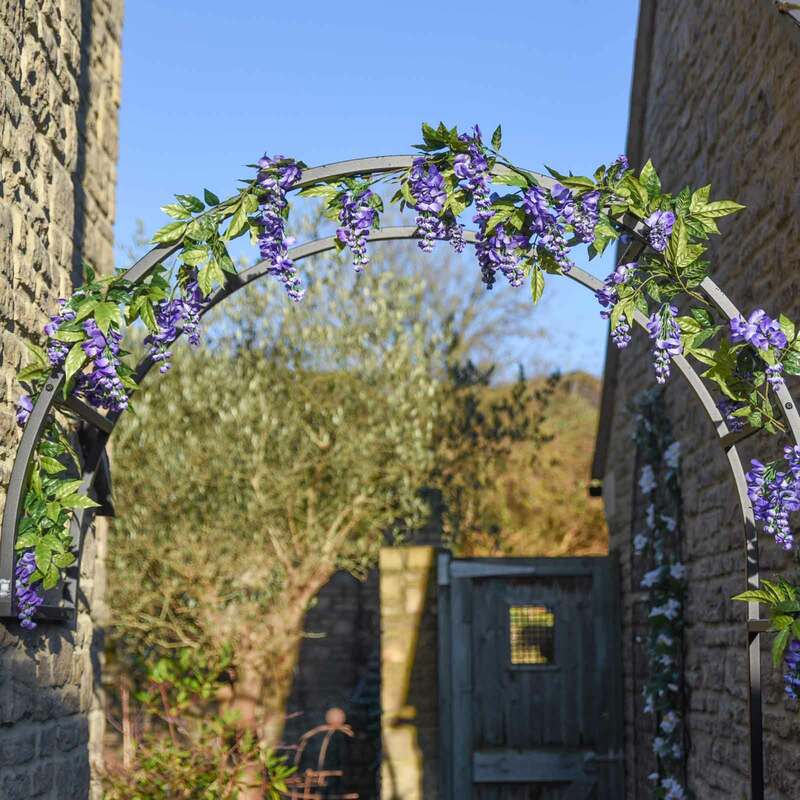 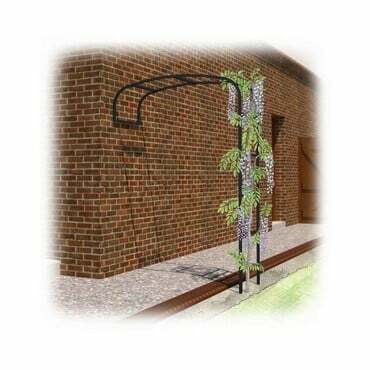 Harrod Roman Wall Arches are ideal for creating a beautiful floral walkway on an outside wall, based on our best selling Roman Garden Arches, they will make a feature of any bare wall when clothed in fragrant climbers. 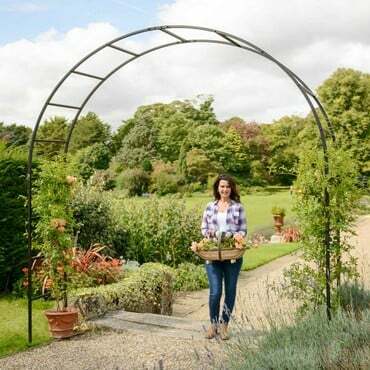 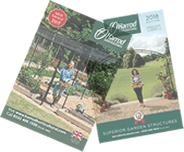 RHS Endorsed and with a 10 year framework guarantee, the wall arches are manufactured to the same exacting standards as our best selling garden arch range. 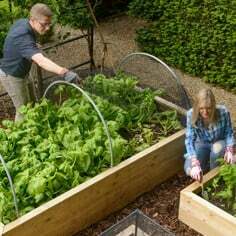 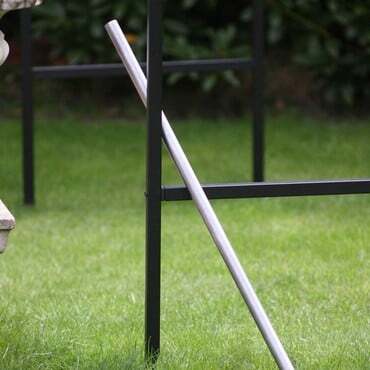 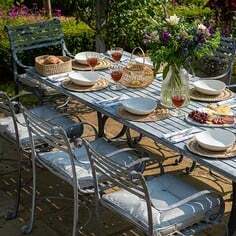 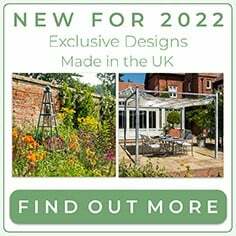 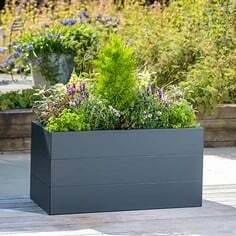 Made using UK sourced, extra strength 1.5mm thick wall x 25mm square steel sections which are galvanised inside and out and then high temperature powder coated Matt Black for a long lasting weatherproof finish. The Roman Wall Arch is secured with a wall fixing bar, supplied with all the necessary stainless steel screws and rawl plugs to fix in place. 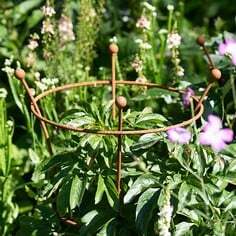 The Arch uprights are designed to go 40cm into the ground and can be concreted into place for greater rigidity. 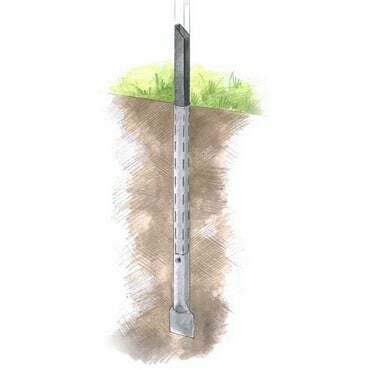 For even easier installation we recommend our hole former and/or ground sockets in soft soil or exposed windy locations. 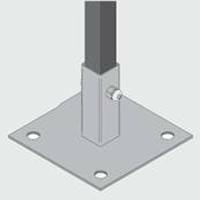 Ground sockets easily hammer 57cm into the ground, protected by a driving cap, and allow uprights to simply slot in. 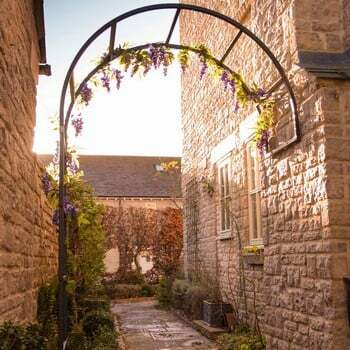 The Roman Wall Arch is based on the classic curved design seen in lots of roman architecture and is available in 4 widths - 1.2m, 1.5m, 2m and 2.5m and 3 depths - 0.6m, 1.05m and 1.55m giving you lots of options to select the perfect size arch to fit your garden - image shows 1.5m width garden arch. 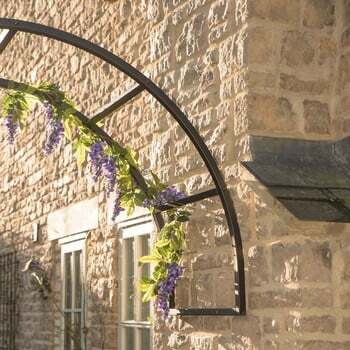 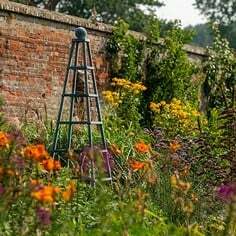 We are here to help with your Garden Wall Arch Project and can offer a complete Made to Measure Service if you can't see the ideal size for your garden, we can also offer bespoke colours upon request. 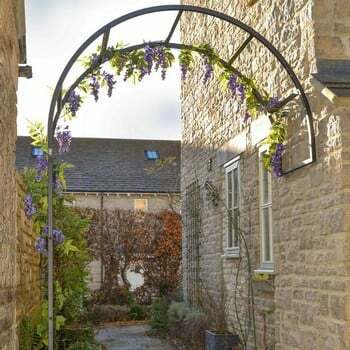 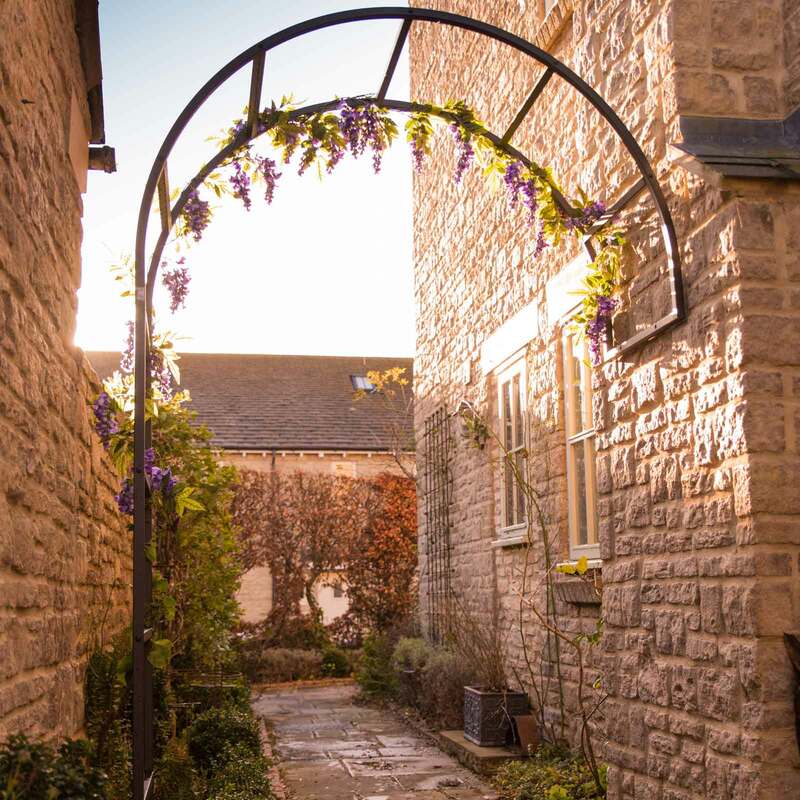 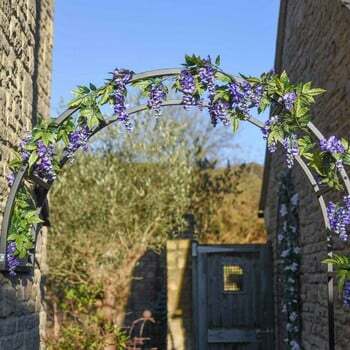 Our Expert Design Team have previously created a Roman half arch and incorpoated an X brace gate, to a bespoke design.